You depend on water that’s clean and high quality for all your daily household activities. WaterCare® water treatment systems are designed to provide better quality water for your home. Every system in our line of water treatment products combine efficiency and flexibility to satisfy your family’s needs. When your water is more efficient, your household is more efficient. That adds up to money-savings for you and your family. Yes, water softener salt can be scheduled to be delivered right to your door on a schedule that you designate.. Call or contact us today for more details. See our Drinking Water page for more information. Page Summary: Turner WaterCare offers water treatment systems , reverse osmosis, water softeners and water coolers. Products and Services such as water filter system, water purification, water softener salt as well as water filtration are also part of the scope of our business. 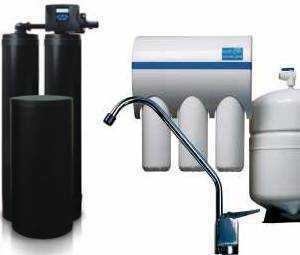 We also specialize in water softener systems, water quality in Baraboo, Mauston, Reedsburg as well as Sauk City. Other areas we serve include Wis Dells, Lyndon Station, Lake Delton and Prairie du Sac. We also service Pardeville, Briggsville and beyond.